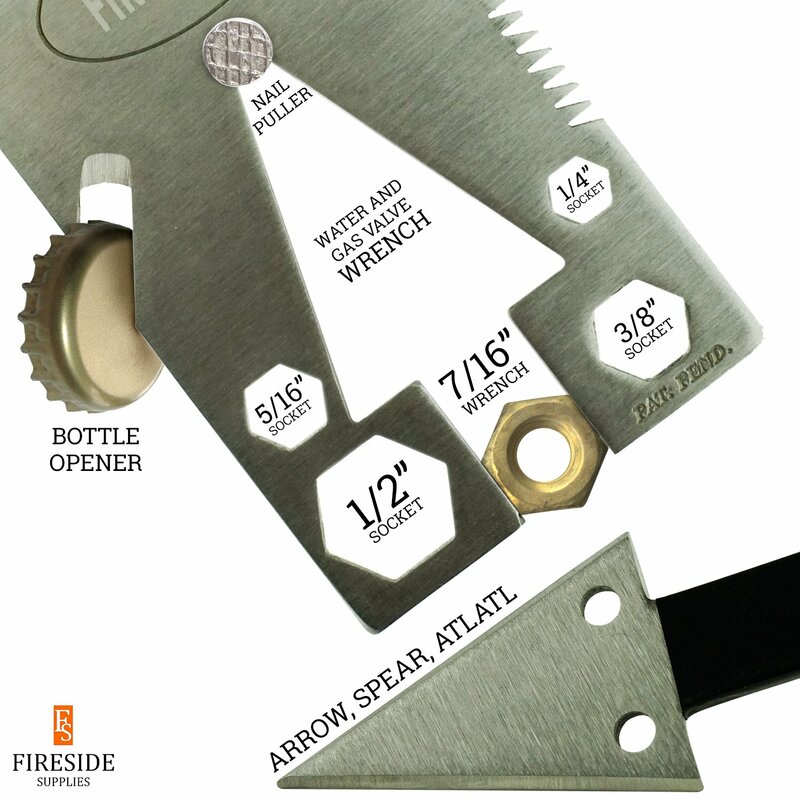 Looking for EDC survival gear that is more than a toy? As soon as you feel the weight of the Pocket Axe you’ll agree with other men, that this is built for real world survival. 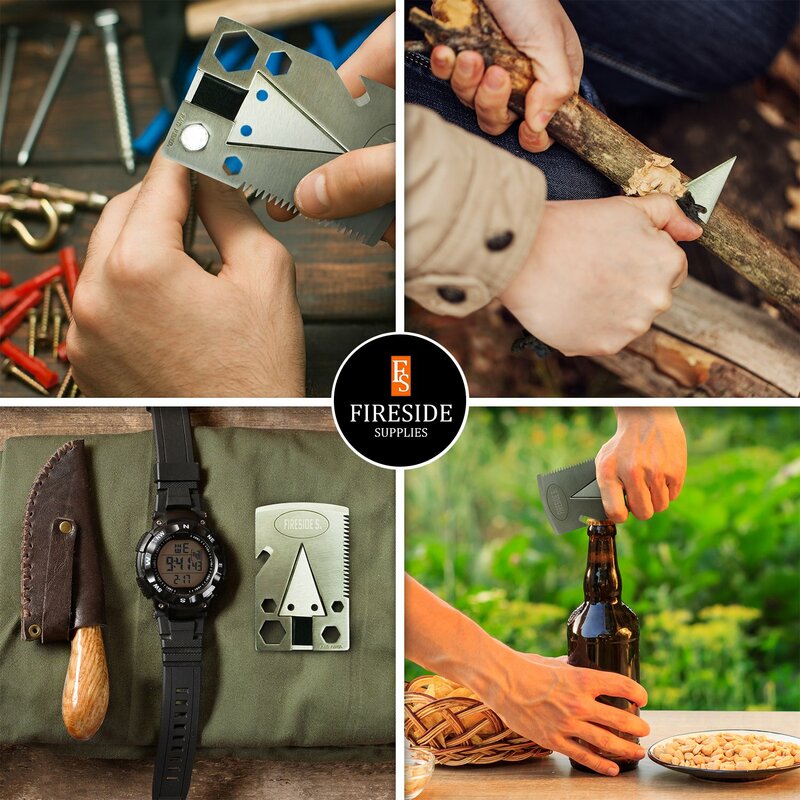 For those who know the value of having the right tools on hand when it all goes bad, Fireside Supplies packed 21 survival essentials into a beefy EDC card that stores small. 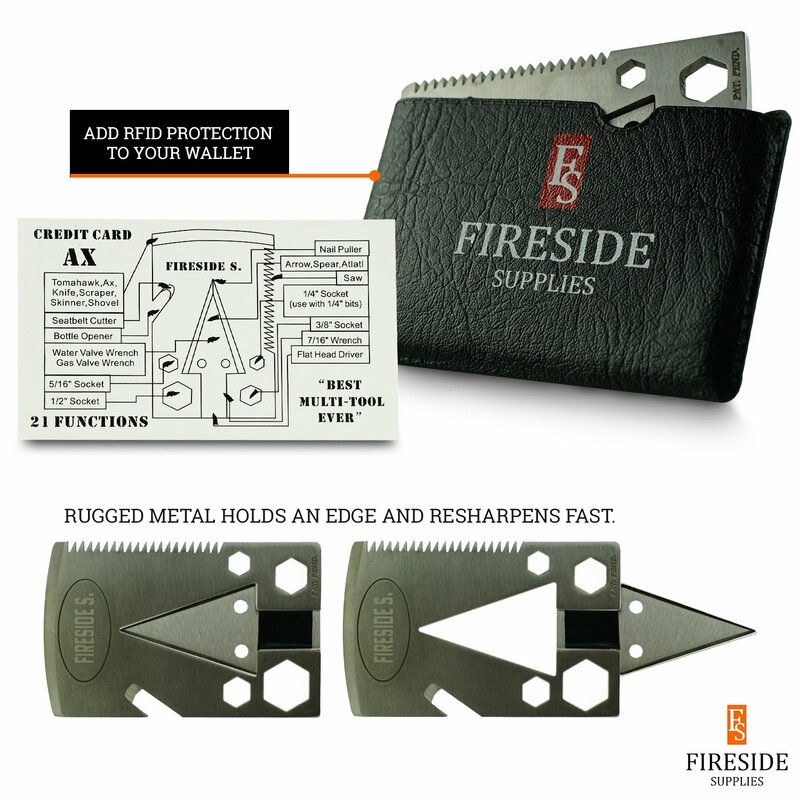 This means you can pack it into your wallet for an instant EDC wallet upgrade, that even shields against RFID Theft. That’s 21 tools you can toss in your backpack, bug out bag, car, or wallet, to keep the best survival gear at your fingertips. 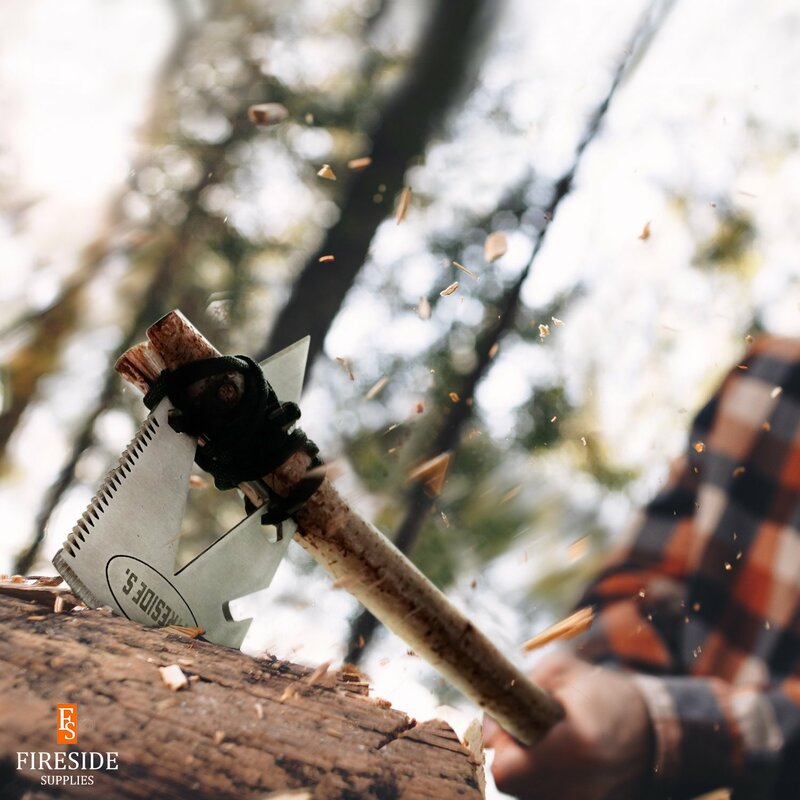 Check out the images and see how the real power of your Pocket Axe happens when you attach it to a handle or shaft to create any combination of Axe, Tomahawk, Atlatl, Spear or Arrow. 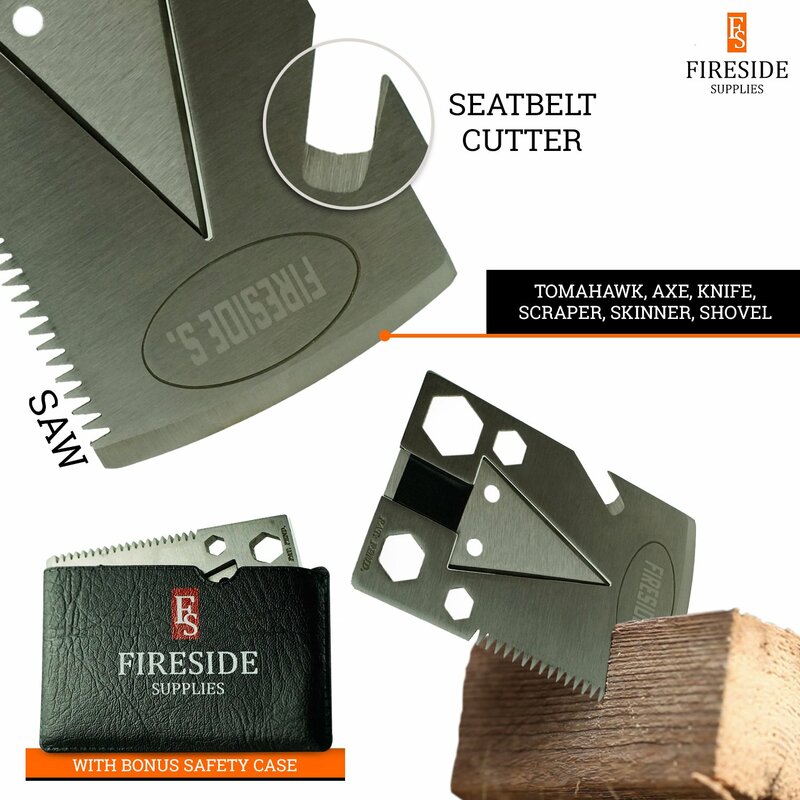 The beefy Stainless Steel design has the heft to chop huge chunks of wood, and is tough enough to hold an edge, giving you survival gear that is built for more than just-in-case survival, it’s built for rugged everyday use. 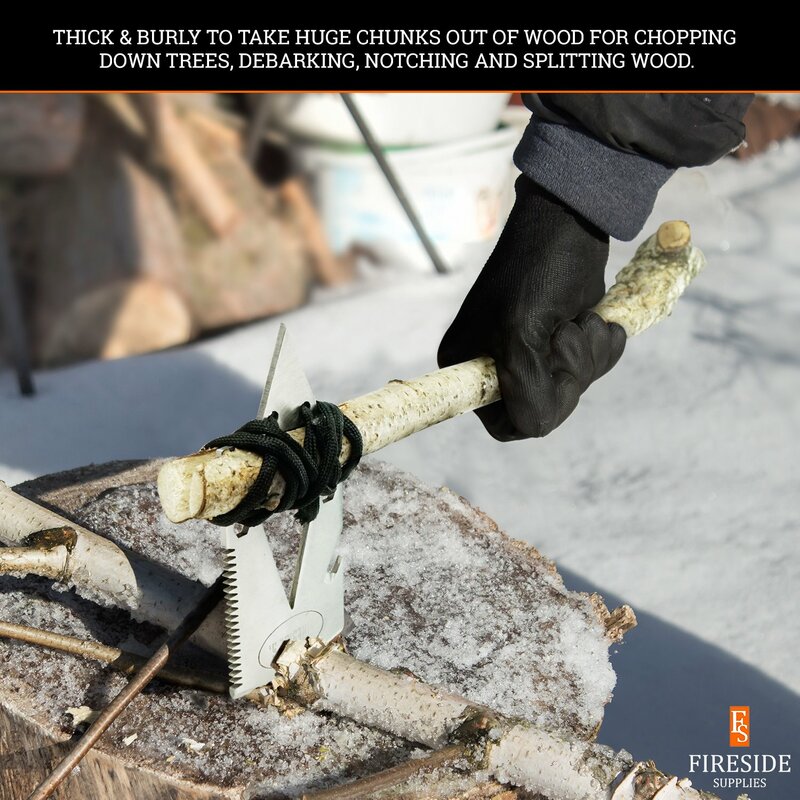 Simply use the built-in saw to notch a branch. Slip the Pocket Axe into the slot and bind with cord, twine or zip ties. 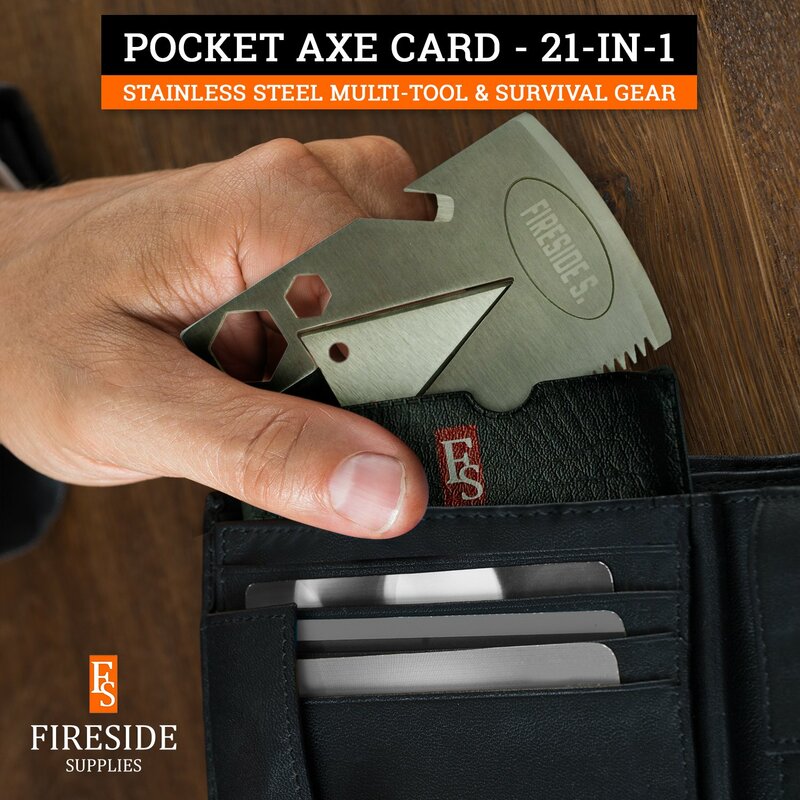 Enjoy survival gear that serves as a weapon, wrench, saw or hunting gear – all in one EDC card. 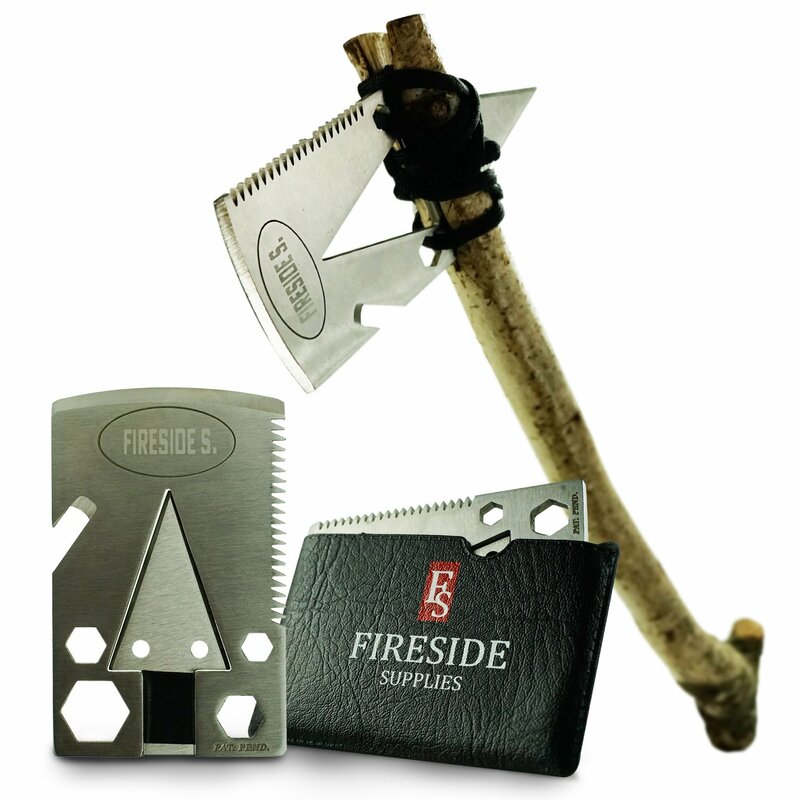 Place a Pocket Axe in your wallet and enjoy the confidence of knowing that your woodsman survival tools are close at hand for quick fixes or major survival emergencies, wherever your off-trail adventures take you.